Hope's Cafe: SFF #8-39 Dollar Glasses Review and Giveaway!! Do you feel the need for a stylish new pair of sunglasses? Are you looking forward to having the sun shining brightly again? Then you need to visit 39DollarGlasses.com! I was able to choose a pair for review, and it didn't take me long to settle on the Aviators in Silver. I love aviator-style sunglasses, but every pair I have ever owned got bent or broken within just a short time of wear. After my very positive experience with 39DollarGlasses last year though, I was hopeful for a better pair of Aviators. It took less than 2 weeks from the time I placed my order for the glasses to come in, and I anxiously opened them to see the quality. Right from the start I was impressed as they had a better feel than my previous (numberless) pairs. Very sturdy, and without any loose arms or rattling nosepieces. Yet still with the stylish Aviator look that I love! I tried them out right away (it happened to be a sunny day) and loved the feel and appearance. They fit very comfortably, and didn't need any adjustments. Every bright day we have had since, I have pulled out these sunglasses! After a few weeks of wear and being toted around in my bag, they are still as sturdy as ever, and are holding up extremely well! 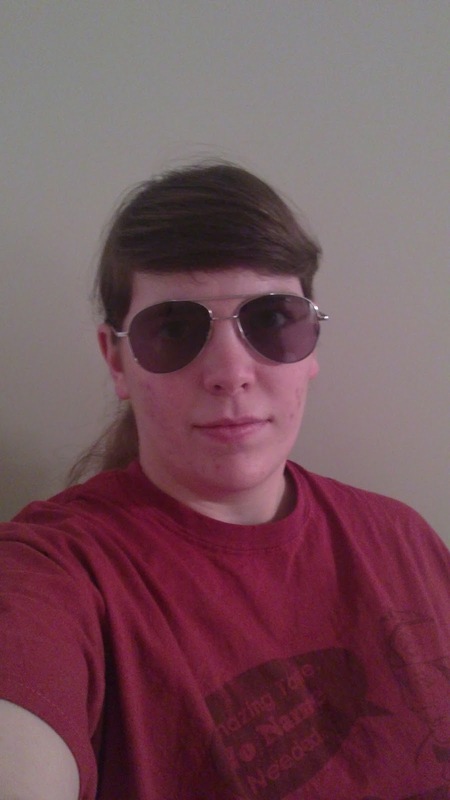 I have finally found a good pair of Aviator sunglasses! (up to $75.00) from 39DollarGlasses! I like the Fontana Sunglasses.